Real Time computational speed is a pre-requisite when combining software models with hardware components, such as a chassis stability controller, vision / range sensors or a driving simulator (e.g. 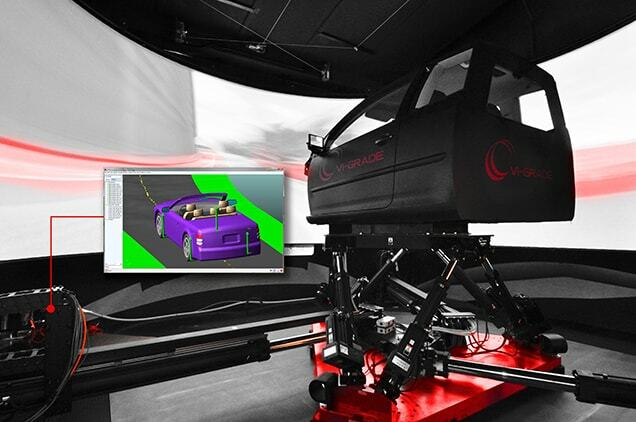 DiM Driving Simulator by VI-grade). MSC Adams has long been the automotive industry's tool of choice for vehicle dynamics predictions. 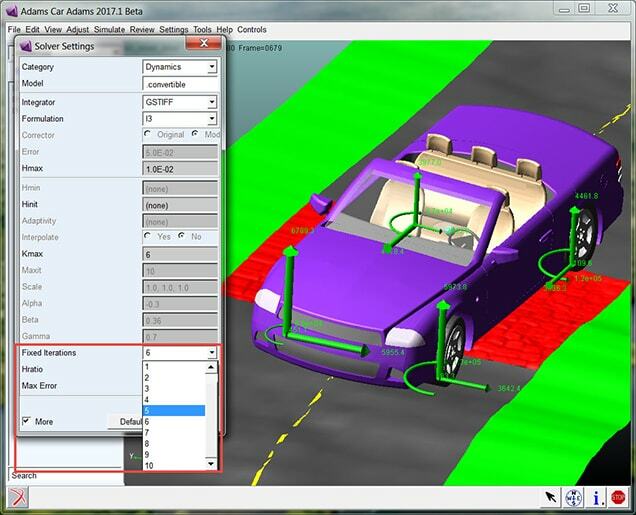 Now, with Adams Real Time, analysts can reuse the same base model for high fidelity off-line simulations, through SIL (Software-in-the-loop) to HIL (Hardware-in-the-loop) and ADAS (Advanced Driver Assistance Systems) applications. This one tool / one model approach has the potential to remove weeks from the typical vehicle development program and save tens of thousands of dollars by eliminating the error-prone model translations between different tools. The Real Time Integrator in an Adams solver setting that will allow the user to meet the real time operating system requirements. This Integrator ensures that both the Adams simulation speed and the communication interval meet the real time platform/hardware requirements (e.g. driving simulator, or abs controller). Engineers need Real Time Simulation to connect with a hardware controller or driving simulator. Adams Real Time users can stay inside of Adams for both high-fidelity (complex model with high accuracy) simulation and real time analysis for hardware-in-the-loop. In this release, Adams Solver supports Concurrent's SIMulation Workbench® (SimWB) real time modeling environment on the RedHawk™ Linux® operating system.